(L-R), Rachel Nagler, Timothy Busfield, Patricia Wettig, Jason Nagler, Polly Draper, Mel Harris, Brittany Craven, Ken Olin, Melanie Mayron, Peter Horton, 1988. Thirtysomething creators Marshall Herskovitz and Edward Zwick, along with cast members Polly Draper, Timothy Busfield, David Clennon, Melanie Mayron, and Peter Horton, filled the stage at the ATX Television Festival in Austin over the weekend to reminisce about the groundbreaking drama series and why it paved the way for so many other shows on TV. Thirty aired on ABC from 1987 to 1991, a time when TV was filled with franchises about cops, lawyers, doctors, so Zwick wasn't convinced a show that just talked about what was happening in people's lives would have enough of a "hook" to draw in audience numbers. Well, it turned out the audience cared a lot — 25 million viewers later, they had a hit TV show. The producer, director, and actor reflects on his TV successes and failures. "It wasn’t written like a TV show," Draper explained. "It was different from what I had seen before. [Thirtysomething] bridged the gap [between TV and film] and changed the whole course of TV history." She actually thought she was auditioning for a movie when she walked in to read lines. With the success of the series, Zwick and Herskovitz realized people were invested in the intimate moments and personal stories of the characters lives — both the happy and the sad. In fact, ABC thought the show was a little too sad. Zwick said execs asked him to lighten up the dark moments and he said "no." The series also pushed the limits of what people thought TV was capable of during that time. Thirtysomething was one of the first TV shows to have two gay men in bed together — they weren't allowed to kiss on screen thought it was in the original script. Grant said the kiss didn't even matter to him because just showing two men in bed, talking about nothing, living totally normal lives, was enough of a win during that time. Another aspect of the show that shook fans was the death of a major character, now normalized by shows like Game of Thrones. Back then, it was crazy to kill of a lead and fan favorite. We're talking about Gary (Peter Horton) dying in a car accident in the same episode as Nancy Weston (Patricia Wettig) finds out she's going live after battling ovarian cancer. NBC's 'This is Us' owes a lot to the '80s and '90s ABC drama that explored adulthood in the most realistic way. Zwick said tackling death on TV was "radical" and Herskovitz added that the hardest dilemma they faced was the debate over whether Nancy should live or die. They admit they thought she should have died, at first, because they wanted the show to reflect the real life survival rate of this disease and sadly, the mortality rate was high. But the pair got letters from people affected by cancer who said the character was such a "symbol of hope," so they couldn't kill her. Still, the episode needed "balance," which meant someone else's unfortunate demise. 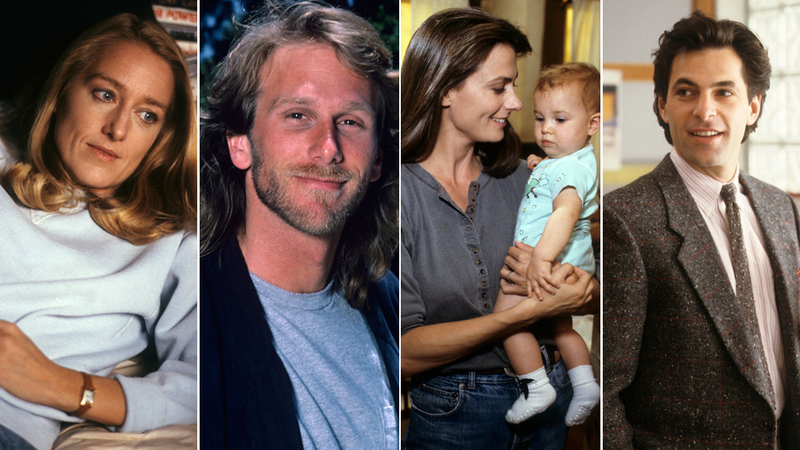 All this said, it's clear thirtysomething was ahead of its time, and it's easy to see its influence on television today.